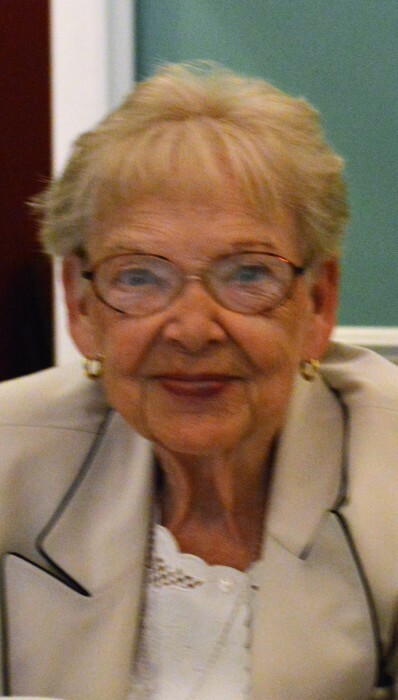 Obituary for Marion E. Weiker | Williams-Pedersen Funeral Home, Inc.
Marion E. (Barnes) Weiker, 85, of Upton and formerly of Medfield, passed away peacefully on Wednesday, January 23, 2019, at her home surrounded by her loving family. She was the beloved wife of the late Richard D. Weiker, Sr. who passed away in 2009. Born in Walpole, she was a daughter of the late Walter and Clara (Drummond) Barnes. She was a graduate of Walpole High School. Prior to retirement, Marion was employed as the Office Manager for her husband’s business, Richard D. Weiker Grader Service. She is survived by her three children, Richard D. Weiker of Millville, Lorraine L. Watson of Upton, and Brenda A. Weiker of Upton; three siblings, Ethel Naddaff of Norton, Jeannette Sullivan of Quincy, and Frank Barnes of Dover, NH; 11 grandchildren and 22 great-grandchildren. She is predeceased by her brother James E. Barnes. A graveside service will be held at 11:45 AM, on Tuesday, January 29, in Vine Lake Cemetery, Medfield.